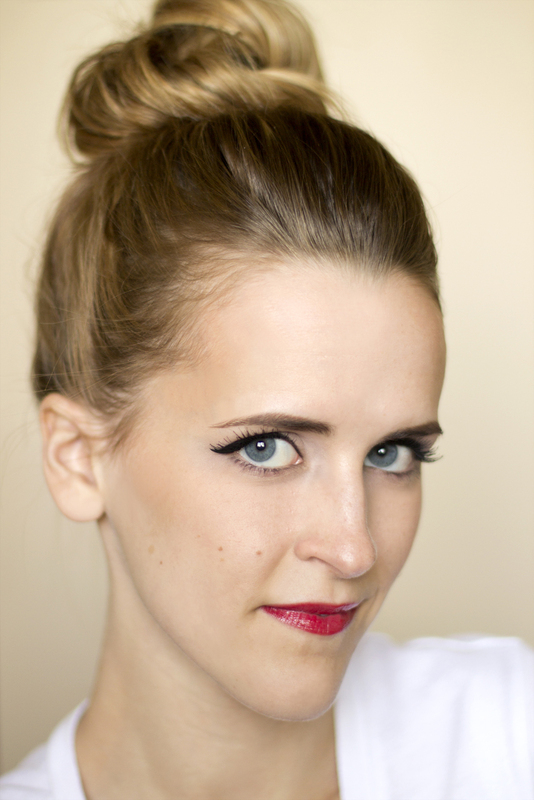 This is how I like to do a cat eye. It's clean, pretty and easy to do. 1. 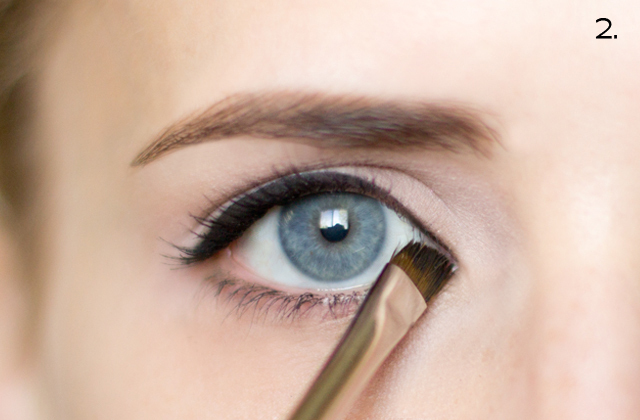 Start by applying liner along your lash line to the outer corner. 2. 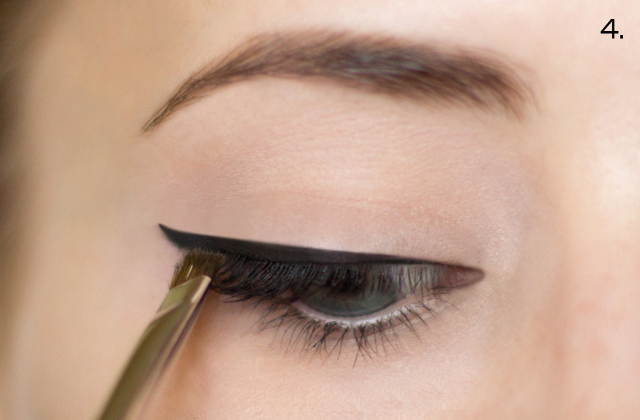 Bring the liner down to the inner corner. I find it easier to look straight forward as I apply in the inner corner. 3. Extend the outer corner. This is the hardest part to master because every eye shape is different. 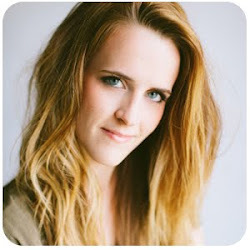 Just think of using the eyeliner to fake winged eyelashes. 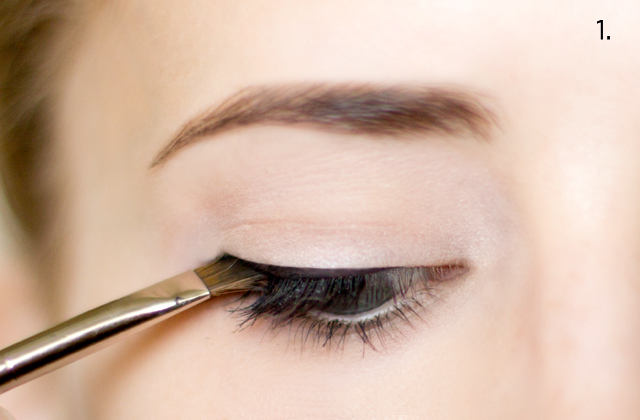 Look straight forward and just follow and extend the curve of your outer eyelashes. 4. 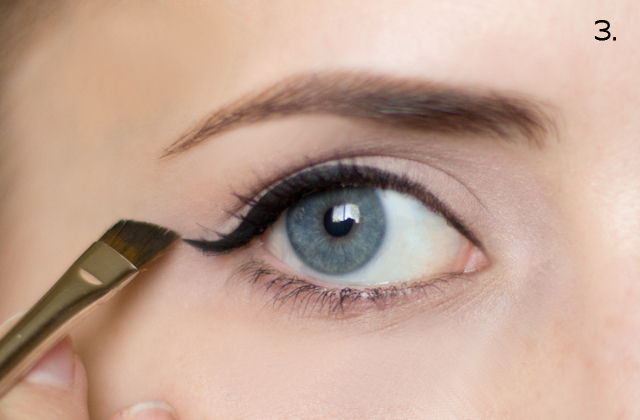 Use eyeliner to draw a line that connects the outer point of your cat eye to about the middle of your eye. 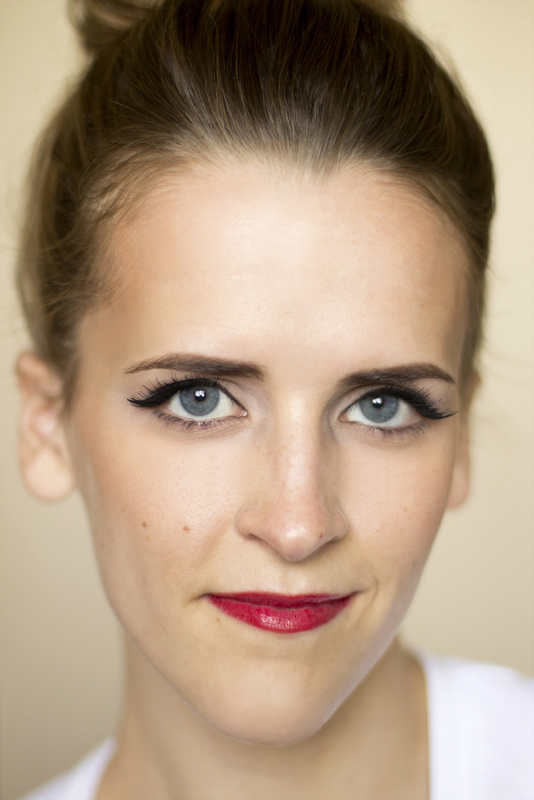 This will thicken the liner on the outer half of your eye, making the cat eye look more dramatic. 5. 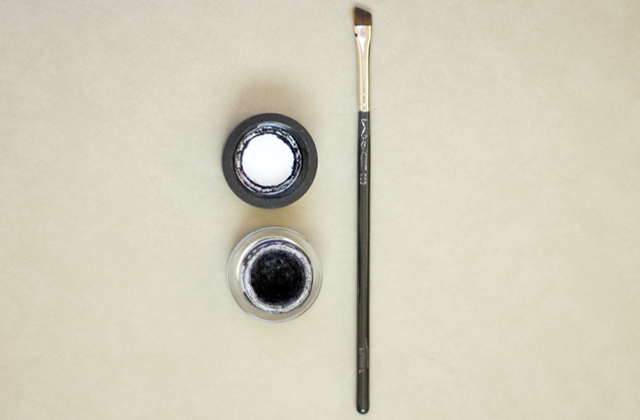 Use a q-tip and makeup remover to clean up the bottom edge of the liner, making it nice and crisp.